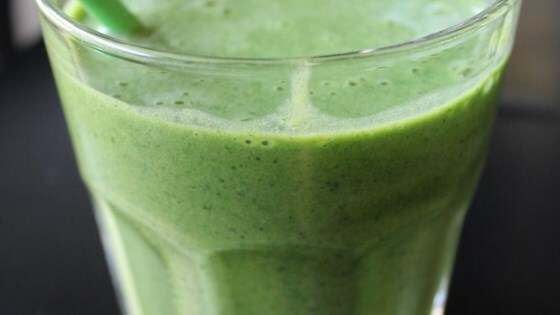 Place the banana, kale, soy milk, flax seeds, and maple syrup into a blender. Cover, and puree until smooth. Serve over ice. I use very young kale from my garden and this is a delicious recipe. The younger the kale, the sweeter the drink.